With housing costs and property taxes far below other in-demand areas in the nation, North Carolina is an outstanding market for prospective homebuyers. North Carolina has a robust economy, a healthy job market, and plenty activities. In fact, Business Insider Magazine ranked North Carolina one of the best states in the country to start a business. 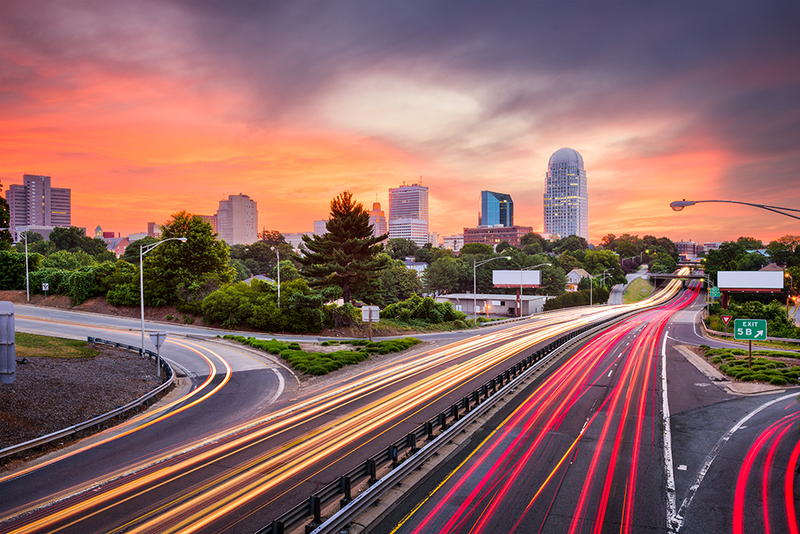 Cities such as Raleigh and Charlotte have many activities, and the beaches and mountains are a reasonable drive from wherever you live in the state. North Carolina is experiencing an expanding housing market; areas like Cary, Raleigh, and Charlotte are some of the most sought after in the state. According to realtor.com, the median housing price in North Carolina is currently around $173,000- this is a good deal lower than the national average of around $200,000. Some cities such as Raleigh and Charlotte have significantly higher median costs, but are cheaper than most cities of their size and magnitude. Housing prices in North Carolina are currently on the rise, with areas like Charlotte, Morrisville, Raleigh, Durham, and Cary generally being the most expensive. Charlotte and what is called “the research triangle” (Raleigh, Durham, Chapel Hill) are experiencing the highest growth, with a high number of jobs in the pharmaceutical, information technology, and banking fields. The National Association of Realtors (NAR) state the median housing prices in the state's most popular cities was $375,000 in Raleigh; $300,000 in Charlotte; $281,900 in Durham; and $330,000 in Asheville. Keep in mind while these prices are significantly higher than the average, they are still low for cities, especially in high demand areas. For comparison, the average housing price in Boston is around $560,000- and it only goes significantly up from there. It should also be noted that North Carolina has a drastically lower tax rate than states like Massachusetts, New Jersey, New York, and California. It is important to note that homes in the Southern part of the US are on average larger than homes in the North or Western parts of the country. This means that homeowners are paying less for square footage and getting more for the price. According to the Federal Reserve Economic Data's (FRED) website, North Carolina's home prices rapidly increased since the mid 1980's, with a minor slump of about 10% in the market from 2010-2012. North Carolina experienced a housing boom in 2008, followed by the 2010-12 slump, before reaching current high levels. Home prices in the state are currently above those from the 2008 boom. The homeownership rate across the state peaked at 71.7% in 1999 and fell to 65.2% in 2015. In 2016 the rate stood at 65.7%. North Carolina's housing market has rebounded much more vigorously than other parts of the country. In terms of post-recession housing prices, FRED reported that North Carolina outranks both Nevada and New York. This is probably due to the large amount of professionals and tech companies coming into the state. According to a report done by WRAL, it was found that there was a direct correlation between incoming jobs and professionals and positive housing rates. North Carolina is home many desirable towns and cities, some of which are ranked among the best in the nation. While places like Charlotte and Asheville are popular, cities and towns inside Wake County (Cary, Raleigh, Chapel Hill, Apex) are the most sought after and expensive. Listed here are some of the best cities and towns in terms of price, economy, and activities. 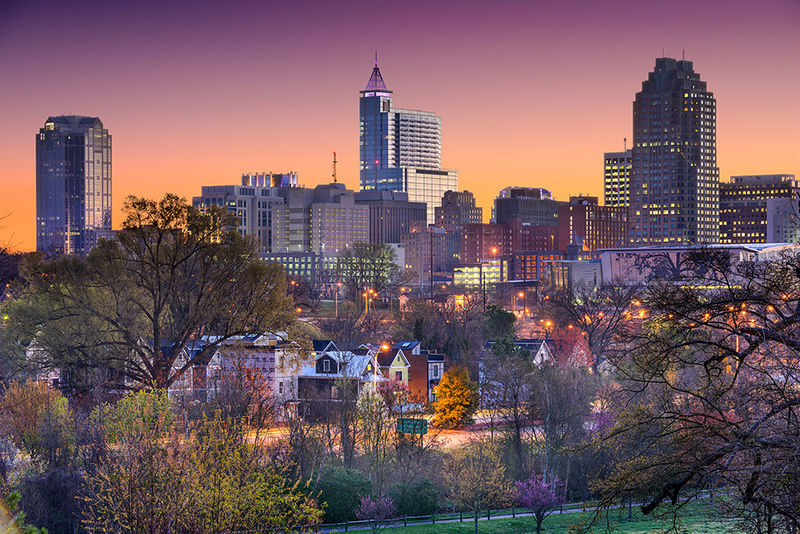 Raleigh is North Carolina's capital city, with a population of 451,066. A rapidly growing city, Raleigh is located in the central part of the state and has a greater metro population of over a million people. With a median home price of around $375,000, Raleigh is still relatively inexpensive for a city of its caliber. Based on data from trulia.com, the median income in the city is $50,679. With cost of living factored, Raleigh is certainly affordable in most areas. North Raleigh is the most upscale area of the city; it is more suburban and spread out, however it is still in close proximity to shopping centers. Raleigh is a great destination for professionals, with a number of jobs in the technology field, banking/financial, and pharmaceutical industry. Raleigh is home to NC State University and other higher learning institutions such as Shaw University. Raleigh is known for its wide variety of restaurants and bars, many in the up and coming Warehouse District. Red Hat Amphitheater and Walnut Creek Amphitheater host popular music acts. Raleigh is also home to professional sports such as the Hurricanes and college sports such as the NC State Wolfpack. Cary is a suburb just outside of Raleigh with a population of around 160,000. Cary is one of the wealthiest and most educated areas in the state. With its rapid growth and low crime rate, Cary is one of the most desirable places in the state. Generally, homes closer to downtown and inside Cary Parkway are cheaper, with median prices around $200,000 for single detached homes. In neighborhoods such as Preston and Regency, single homes can cost from $350,000 to over $2,500,000. As the area grows, home prices and rent in Cary have been steadily increasing. Cary does not have a downtown hub like Raleigh, but still has activities like bars and restaurants, while Raleigh is a twenty-minute drive away. Cary is home to some businesses and medical offices, however, many professional residents commute into Raleigh for work. A small town just outside of Raleigh, Garner is a cheaper option for those who still want to be near the city. Data from real estate website trulia.com states that the median home price is at $206,000- just around the national average. This is cheaper than many other places in Wake County, considering Garner is also just outside of Raleigh. According to Garner's 2016 Comprehensive Annual Financial Report, the top employers in the town were the Wake County Public School System, Food Lion, and Walmart. Part of Durham county, Durham is a mid-sized city North of Raleigh with a population of 251,893 (as of 2016). Durham has many activities and is known for sports team such as the Durham Bulls and the Duke Blue Devils. It is also known for its schools such as North Carolina Central University, and most notably, Duke University. Durham has many jobs in professional fields such as tech, education, and pharmaceuticals. Duke University, IBM, Durham Public Schools, GlaxoSmithKline, and Blue Cross and Blue Shields are among the top employers in the city. The median home price for Durham is currently $197,750 ($120 per square feet), which is slightly under the national average. It should be noted that Durham has a higher average crime rate than other areas in North Carolina and the US as a whole. However, there are many safe neighborhoods within the city and crime overall isn't a major problem. Charlotte is North Carolina's largest city, with a population of 842,051, and is located half way between the Appalachian Mountains and the Atlantic Ocean. Charlotte has also been named as one of the best cities to live in the country due to its business opportunities, climate and culture. Charlotte's attractions include professional sports teams such as the Panthers & Hornets; along with Carowinds amusement park and museums such as the NASCAR Hall of Fame. According to the Charlotte Observer, the city is the third largest banking center in the United States. Because of its reliance on the banking industry, it was harder hit than the other areas of North Carolina during the economic crisis. Though there have been setbacks with unemployment and earnings ratings, the city and its metro area continues to grow and the housing market continues to appreciate. Bank of America's corporate headquarters are in Charlotte, as well as the headquarters of Wells Fargo's east coast operations. Charlotte's median home price is around $230,000, somewhat above the national average. Chapel Hill is located west of Raleigh and South of Durham, with a population of around 57,000. Chapel Hill is known for its bars and restaurants and for being the location of the University of Chapel Hill, along with their popular basketball team. The median home price in Chapel Hill is currently $371,250- or $170 per square foot. 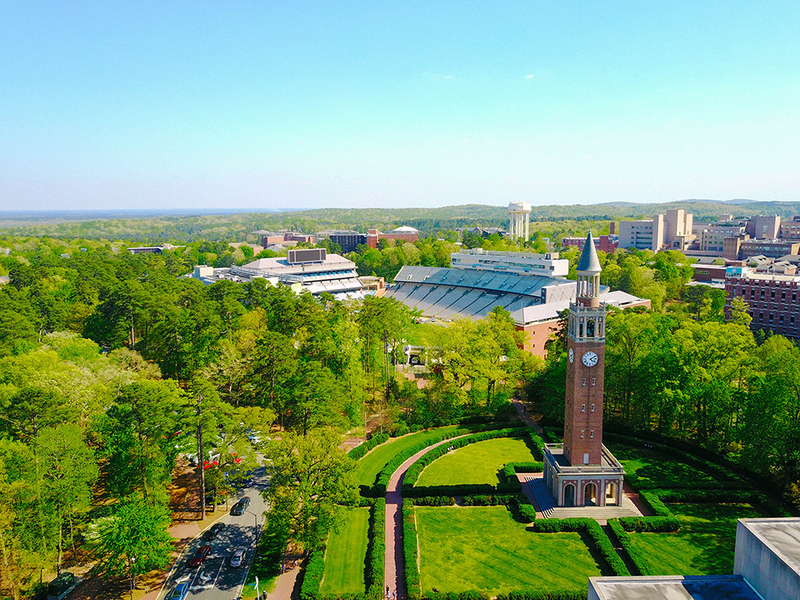 Chapel Hill is also one of the wealthiest and most educated areas in the state. The median income of Chapel Hill is $69,918 and the percentage of college educated individuals is around seventy four percent. 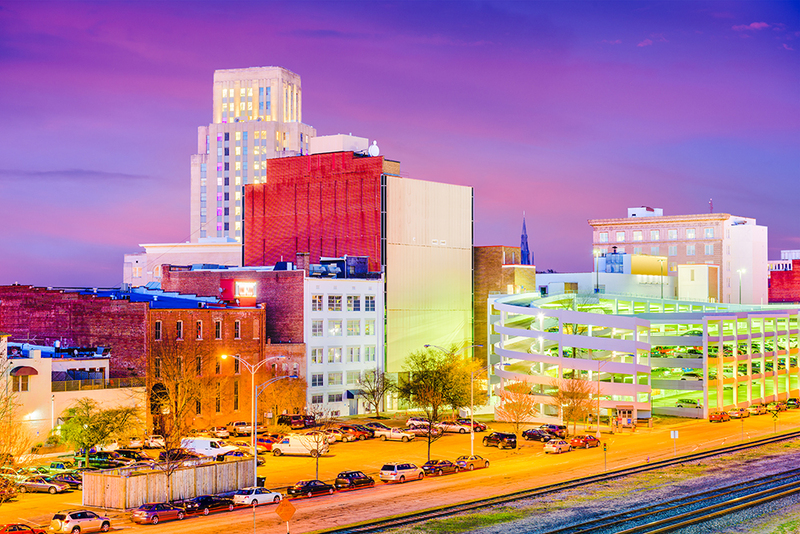 Located in the Northcentral region of the state, Greensboro has an estimated population of 287,027, making it the third most populous city in the state. It hosts the popular National Folk Festival, the International Civil Rights Museum and a poular water park named Wet 'n Wild Emerald Pointe. 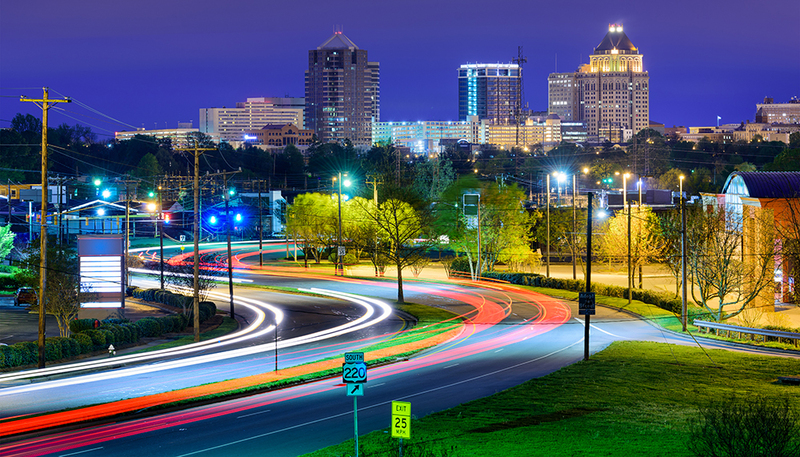 Winston-Salem is located just east of Greensboro and has an estimated population of 242,203, making it the 5th largest city in the state. The city is named based upon it's historic involvement in the tobacco industry. Affordable living costs & good weather make the city a popular place to retire. 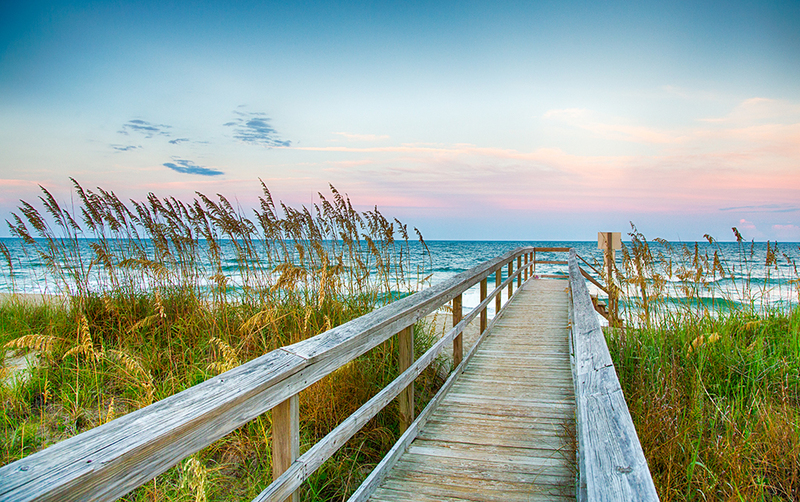 While specializing in luxury housing, the North Carolina coast is another region that is experiencing population growth. Supported by the fishing industry and tourism, the weather and leisure activities are a big draw. The area is also home to the Camp Lejeune Marine base and a major film studio in Wilmington. 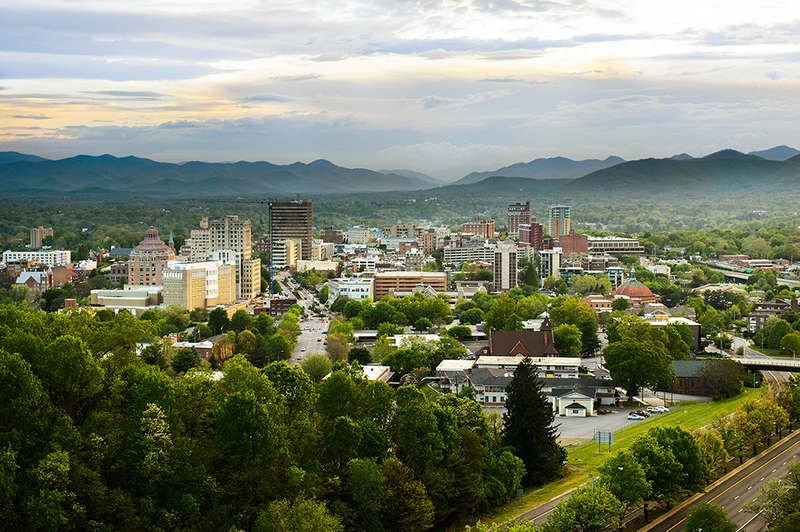 Asheville, located in the western portion of the state, is known for its support of the arts, Art Deco architecture and its outdoor leisure options. This city is continually growing and the housing market is following its lead. A view of the mountains and short distances to summer and winter sporting activities is appealing to many, while the climate remains moderate. According to the United States Census an estimated 10,146,788 people live in the state of North Carolina. The state has 48,617.91 mi² of land area, which gave it a population density of 208.7 per mi². Here is a list of cities, towns, villages & Census Designated Places with more than 2,500 residents, with their estimated population as of June 2016 & the 2010 United States Census. For Census Designated Places (CDP) where there was no population estimate available for 2016, the 2011-2015 American Community Survey 5-Year Estimates data was used. The 30-year fixed mortgage is the most popular type of mortgage loan in North Carolina. The 15-year fixed rate mortgage is a great way to build equity faster & save money on interest expenses if you can afford the higher monthly loan payment. To qualify for a 30 year fixed loan, one must have a credit score in good standing and have solid employment history. Mortgage underwriters prefer debt-to-income ratios to be below 40%, but other factors are considered on the loan application. A typical down payment is usually 20% of the value, however there are some loans that if you qualify you can pay less for.Keep in mind the less a down payment is, the more the borrower will be scrutinized by the loaner who will seek to protect their loan. The loaner may require private mortgage insurance (PMI) to protect them from losses if the borrower cannot pay the 20% up front. The piggyback loan can eliminate the need for private mortgage insurance by covering 80% of the home's value with the first loan, while the second loan helps to pay for part of the down payment. This mortgage is a good way to avoid the standard 20% down payment, which is required by most private banks. Since most North Carolina real estate is quite affordable adjustable rate mortgages and interest-only loans are not common. Most buyers prefer a fixed-rate for the duration of the loan rather than having a looming risk of a rising rate & thus increasing monthly payments. As of 2018 the conforming loan limit across the United States is set to $484,350, with a ceiling of 150% that amount in areas where median home values are higher. Jumbo loans typically have a slightly higher rate of interest than conforming mortgages, though spreads vary based on credit market conditions. Here are the conforming mortgage limits in different areas of the state. Home buyers who don't meet these standards might qualify for attractive terms with a government program. The Veterans Administration offers mortgages to previous members of the armed forces. The VA doesn't require any down payment, but it will charge a funding fee that ranges from 1.25% to 3.3%. Lower funding fees are available to borrowers who are able to put something down. For former members of the U.S. military, the Veterans Administration provides an unbeatable deal by offering mortgages with zero down payment required. There is a funding fee for veterans who choose this option, however. It is between 1.25% and 3.3% of the loan's value. Borrowers who choose to make a down payment are offered a lower funding fee. VA loans are underwritten by private banks, and insured by the U.S. government. To qualify for a VA military loan, one must have served 90 consecutive days active service during wartime, have served 181 days of active service during peacetime, have more than 6 years of service in the National Guard, or are the spouse of someone who has died while on active duty or as the result of a service-related injury. There are programs to assist people with mortgages such as the NC Home Advantage Mortgage. This program provides assistance for potential first-time and move-up home buyers for up to 5% of the loan amount. Repayment of the down payment is only required if the homeowner sells, refinances, or transfers the home before the 15 year mark. They have helped over 90,000 local familes buy homes. The State also offers the Mortgage Prevention Fund. This program helps those who due to extenuating circumstances, cannot afford their mortgage payment. Families who qualify may be able to have their mortgages subsidized for a period of time. There are federal programs offered by the Department of Housing and Urban Development (HUD). These programs offer mortgages to lower income individuals or those with less than superb credit ratings. State programs include those such as the Greensboro Housing Coalition and the Durham Affordable Housing Coalition, which provides affordable housing for those at a disadvantage and combats homelessness. For a person buying a house in a rural area, the USDA will guarantee a loan to qualified buyers allowing them to purchase a home with no down payment. The home must be located in an area of less than 10,000 people or in some cases small towns and cities with the population of 10,000 - 25,000 residents. They have over a dozen grants & loan programs covering everything from single family housing, farm labor housing, water well systems, wastewater, multi-family housing, rural energy improvement, home repairs & socially-disadvantaged groups. Most of North Carolina has a very low earthquake risk. The western border of the state near Tennessee has a low to moderate earthquake risk. Here is a list of counties with a risk level above very low. Most of North Carolina has a very low flooding risk. Here is a listing of counties with a flooding or hurricane storm surge risk profile above very low. The risk of wildfires is considered moderate to very high across the southern portion of the state. Fire damages from wildfires & other types of fires are typically covered in most homeowner's insurance policies. If you own expensive items you may want to keep an up-to-date household inventory list which lists specific valuables, such as fine art & jewelry. The eastern portion of the state is considered to have a moderate tornado risk. A basic homeowners policy should cover financial damages from tornadoes. The average effective property tax across the state of North Carolina is 0.78%. This is the 17 lowest rate across the United States. Property taxes are determined at the local level “ad valorem” – based on the value of the property. Mecklenburg County taxes at a rate of 1.34% plus municipal service district rates around 1/10 of 1%. Wake County taxes at 0.85% with the city of Raleigh taxing at 0.98%. The median annual property tax payment across the state is $1,706, which is significantly below the $3,313 average across the US. In North Carolina, a lender can seek recourse to cover their losses. For instance, when a house is sold or foreclosed on, and the borrower doesn't produce enough money to cover the original loan, the lender can legally demand reimbursement. However, North Carolina does have laws that mandate how much a lender can demand, granting some protection to the borrower. Nonjudicial foreclosures are most common in North Carolina. With a nonjudicial foreclosure, the lender does not have to go to court in order to foreclose on a home. However, they are required to go before a court clerk before the foreclosure sale. NC law mandates that prior to foreclosure, residents must be given a 45 day notice of the default, a notice of the hearing (which can be extended if resolution is likely), and a notice of sale. NC law also forbids a nonjudicial foreclosure during or 90 days after a borrower's military service if they took out the loan prior to active duty. The Servicemembers Civil Relief Act is a federal law with similar provisions protecting veterans which also applies in North Carolina. North Carolina is a growing state with a healthy, dynamic economy, and a booming real estate market. It has a diverse range of cities, attractions, and amenities, making it an attractive location. Despite high housing costs in some areas, North Carolina is one of the most desirable and sought-after destinations in the country.